The judge conducting a trial into controversial Senegalese mayor Khalifa Sall's alleged embezzlement of public funds will issue a verdict on March 30, the court has heard. 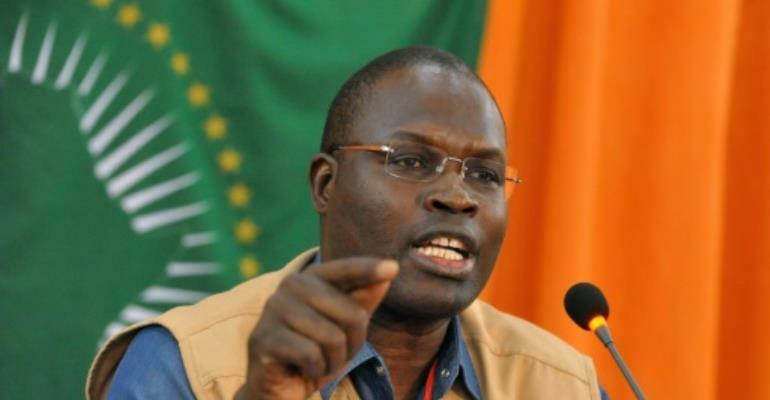 Dakar mayor Khalifa Sall is accused with seven others of misappropriating 1.83 billion CFA francs ($3.3 million, 2.8 million euros) -- a charge he denies and which backers say is to prevent him from running for president. Judge Malick Lamotte said on Friday a ruling would be issued on March 30 as the two sides argued their case for the final time in a trial that has lasted more than a month. Sall's lawyers have argued he should be released, pointing to the absence of a lawyer during the mayor's arrest and questioning, and argued the money was for political purposes and not a slush fund. "I perceive this affair as a way to prop up a government that wants to stay in power," defence lawyer Abdou Daly Kane told the court, referring to a presidential election in 2019 Sall had hoped to contest. Prosecutors have asked for a seven-year prison sentence for Sall and his financial director Mbaye Toure, and a fine of more than 8 million euros ($9.84 million). The Senegalese state is also demanding a fine of $10 million euros worth of damages. Khalifa Sall was elected to Senegal's national assembly from prison in July, but his parliamentary immunity was lifted last month to pave the way for his trial. His long pre-trial detention and the allegations of political machinations behind his arrest have perturbed the diplomatic community in a nation with strong democratic institutions.